The result is that US ethylene capacity is now expanding by 34% through 2019, adding 9.2m tonnes/year of new ethylene supply, alongside a 1.1m tonnes/year expansion of existing crackers. In turn, PE capacity is expanding by 40%, with supply expanding by 6.5m tonnes/year through 2019. And, of course, PE use is coming under sustained pressure on environmental grounds, with the UK government suggesting last week it might tax or even ban all single-use plastic in an effort to tackle ocean pollution. These developments are also unlikely to prove just a short-term dip. China is now accelerating its plans to become self-sufficient in the ethylene chain, with ICIS China reporting that current capacity could expand by 84%. And the pressures from pollution concerns are growing, not reducing. We explored these issues in depth in the recent IeC-ICIS Study, ‘Demand- the New Direction for Profit‘. It is the product of 5 years of ground-breaking forecasting work, since the publication of our jointly-authored book, ‘Boom, Gloom and the New Normal: how the Western BabyBoomers are Changing Demand Patterns, Again‘. 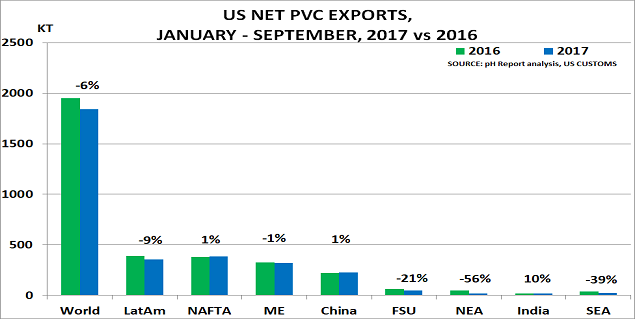 US export data doesn’t lie. It confirms that the expected export demand for all the planned new capacity has not appeared, and probably never will appear. But this does not mean the investments are doomed to failure. 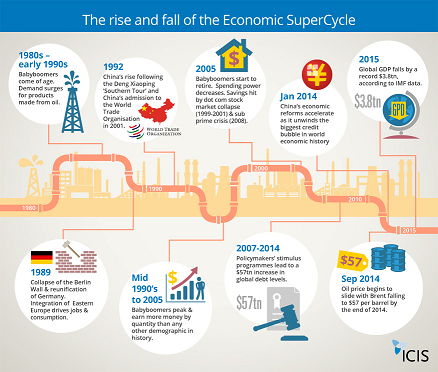 It just means that the urgency for adopting new demand-led strategies is ramping up. 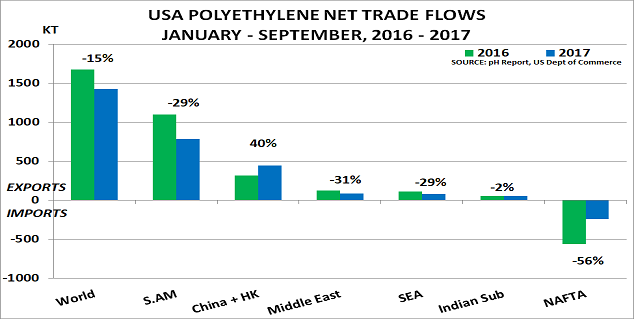 The post Difficult times ahead for US polyethylene exports as business models change appeared first on Chemicals & The Economy.